Barracuda Austin & For Spite Creative Present Bidi Bidi Banda with Magnifico, Caleb De Casper, and Como Las Movies at Barracuda Austin on February 14th. Poster by Ben Tipton Art! 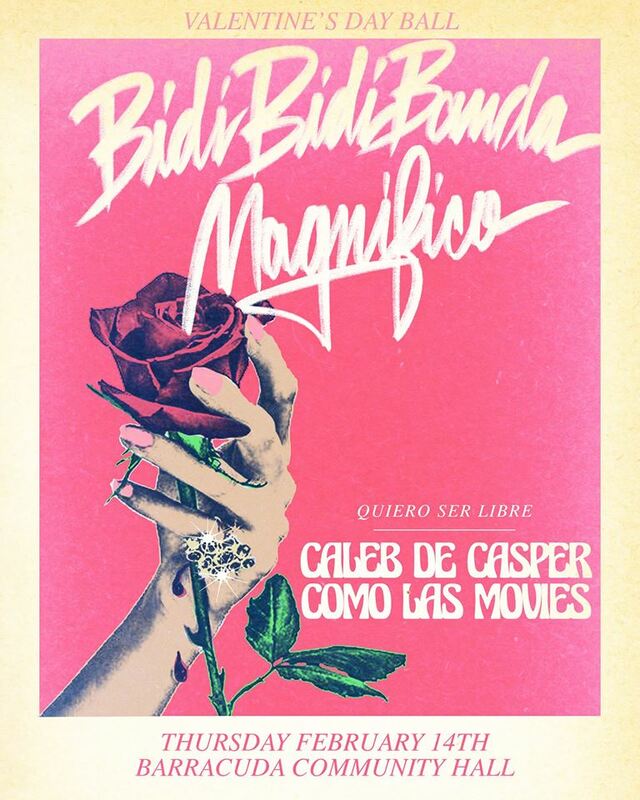 Bidi Bidi Banda with Magnifico, Caleb De Casper, and Como Las Movies at Barracuda Austin on February 14th. Poster by Ben Tipton Art!